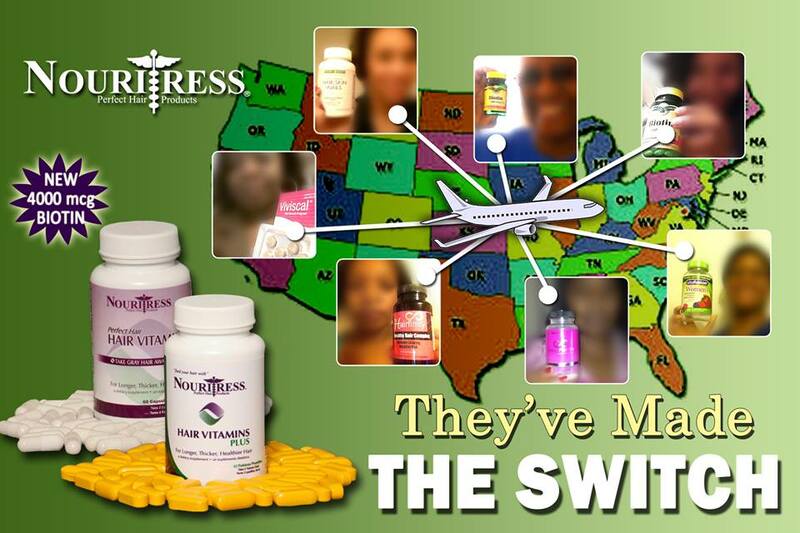 Women across the country are “MAKING THE SWITCH” to NouriTress Perfect Hair Vitamins PLUS! Our Hair Vitamins have 4000mcg of Biotin and has more ingredients than most brands with natural herbs such as Saw Palmetto, Grape Seed, Green Tea, Pygeum Africanum and Ginko Biloba that helps regrow hair, prevent hair thinning and hair loss and most of all NO BREAK OUTS side effects. There are several prescription medications that cause hair loss, but it seems as if the doctors never disclose the information until after the side effects are prominent. When we first start to notice hair loss the best thing to do is to immediately address the issue. The first thing that we should do is talk with a doctor and let them know about the problem because one of the first signs that something is going on in our bodies is hair loss. If you are taking medications it is wise to read the side effects that is always attached to the prescription bag. Below we are discussing Coumadin and Rythmol which are blood thinners. They both can cause alopecia (hair loss). Studies has shown that hair thinning and hair loss can be reduced by herbal remedies such as Saw Palmetto, Nettle Root, Pygeum Africanum to treat male baldness pattern; grape seed oil, coconut oil, jojoba oil to stimulate and encourage new hair growth. Using Ginkgo Biloba with other natural ingredients for hair growth will give you the best results when trying to grow your hair or control hair thinning. 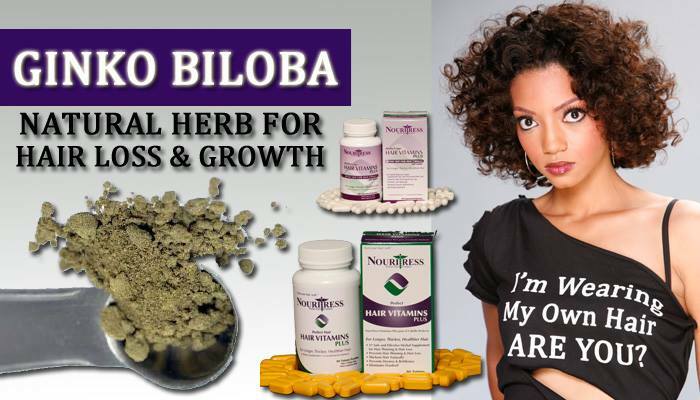 Consume natural DHT inhibitor such as Pygeum Africanum in conjunction with Ginkgo Biloba, DHT inhibitor will prevent DHT from attaching itself to follicles receptor so that follicle will regrow a new stronger hair and Ginkgo Biloba will stimulate new hair growth. Ginkgo Biloba is famous in China and it has been used for centuries to treat many kind of ailments including HAIR THINNING. It has been widely used in Europe for the last 2 decades to treat many ailments because Ginkgo Biloba help to enhance blood circulation in body. Good blood circulation in the scalp is key when it comes to hair growth. There are many ailments that are caused by poor blood circulation such as heart attack, stroke and brain dysfunction. Many herbal remedies have been used to treat these ailments that are caused by poor blood circulation and Ginkgo Biloba is one of the herbal ingredients. Ginkgo Biloba will increase blood flow in body, brain and head. More blood flow to brain and head will nourish your brain, prevent it from brain diseases such as Alzheimer. More blood flow to head will also nourish your follicle so that it will reduce the rate of hair thinning and hair loss. Increased blood circulation to head will supply more oxygen and many nutrients to follicles. Nutrients such as Vitamins, Protein, fatty acid and mineral will make our follicle stronger so that it will grows new healthy hair. Ginkgo Biloba also has many more beneficial effect such as improving memory, antioxidant properties in Ginkgo Biloba can prevent premature aging of skin and organs in body; anti-hypertension and weight loss. NouriTress Perfect Hair Vitamins PLUS contains the natural herb Ginko Biloba which is popularly used to treat hair loss! Ginkgo Biloba is famous in China and it has been used for around 5 centuries to treat many kind of ailments including hair thinning. 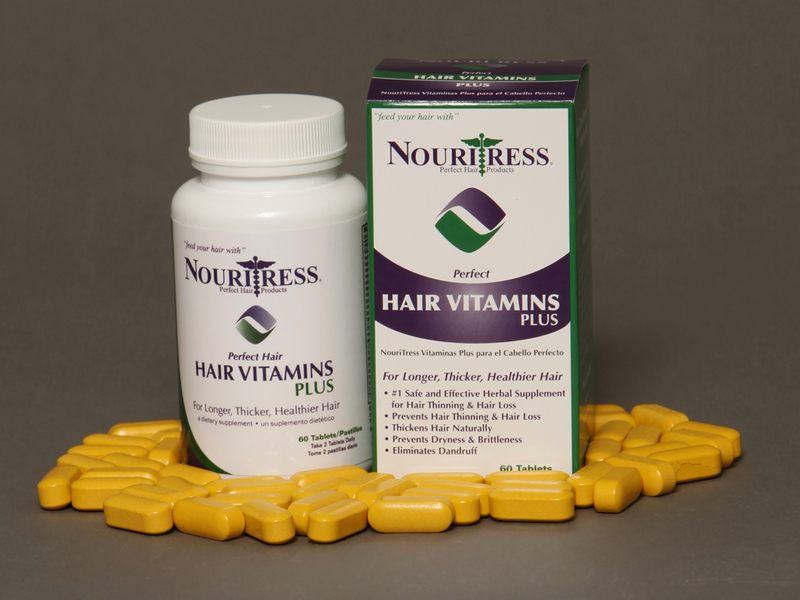 NouriTress Hair Vitamins PLUS contains all these herbs and has more ingredients than other brands! Check the Back, compare ingredients & you’ll find the FACTS! To Order or for more info visit www.nouritress.com. The typical hair growth cycle lasts two to three years, after which your hair goes into a resting phase. During this phase, it is common to notice minor hair loss. If your hair loss is excessive there might be a more serious problem. Consulting your doctor is the only way to know what is causing your hair loss. A variety of conditions are associated with hair loss, such as hypothyroidism. This condition occurs when your thyroid is producing too little hormone.